• Tianyuraptor for short-armed dromaeosaurines 2 meters (6.56 feet) long. Figure 5: Phylogenetic relationships of Zhenyuanlong suni among dromaeosaurid theropods. Zhenyuanlong joins 5 other Liaoning fossils (Changyuraptor, Graciliraptor, Microraptor, Sinornithosaurus, Tianyuraptor) in assignment to Dromaeosauridae ("Running Lizards") family. They nevertheless give as the binomial, scientific, taxonomic designation Zhenyuanlong suni, Sun Zhenyuan’s dragon. pennaceous (quill-pen-like) arm, tail, and wing feathers. The first piece keeps a smooth fit with the second whereas the second piece’s ilium knits less closely to the third’s left ilial postero-ventral corner. short-armed cover for eggs and hatchlings. Appearances indeed make flying or gliding seem impossible feats for Sun Zhenyuan’s dragon. The deep truths behind Zhenyuanlong suni’s definite foreshadowing of Velociraptor’s (of Jurassic Park fame) emergence 65,000,000 to 75,000,000 years later and possible descent from flying ancestors therefore necessitate further research. The above-mentioned fossil of a sickle-clawed sub-adult of fused caudal and cervical vertebral and semi-fused anterior dorsal and sacral vertebral neural arches and centra nevertheless offers hope for twenty-first century resolutions to ancient mysteries. Ferreira, Becky. 16 July 2015. “This New Raptor Species Confirms That Scaly Naked Movie Raptors Are Dumb.” motherboard.vice.com. Retrieved July 18, 2015. Geggel, Laura. 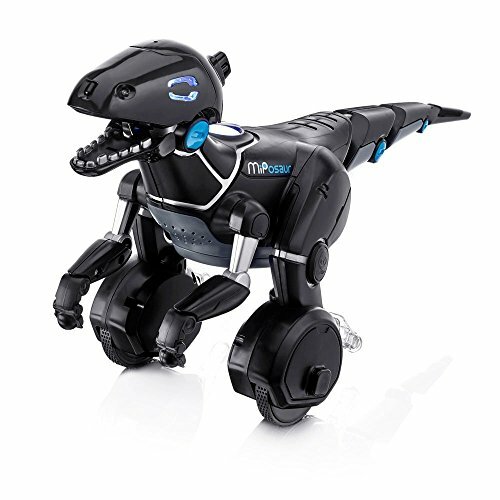 “Velociraptor’s Cousin Flaunted Fabulous Feathers, Tiny Arms.” MSN > US Edition > News > Technology. Retrieved July 18, 2015. Le Roux, Mariette. 16 July 2015. “Jurassic Park Star Was Fluffy with Wings: Study.” Yahoo! News. Retrieved July 18, 2015. Millner, Jack. 16 July 2015. “The Terrifying ‘Bloodthirsty Giant Peacock’: New Specids of 5ft Long Winged Dinosaur Discovered – and It Hints that Velociraptors Were Covered in Feathers Too.” dailymail.co.uk > sciencetech/article. Retrieved July 18, 2015. Reuters, Thomson. 16 July 2015. 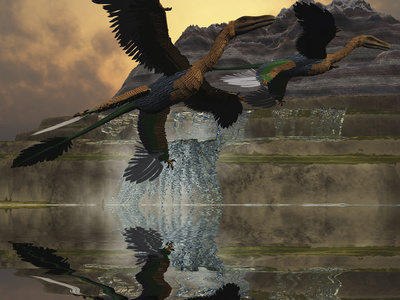 “New Winged Dinosaur Zhenyuanlong suni Sets Size Record.” CBS News > news > technology & science. Retrieved July 18, 2015. Sample, Ian. 16 July 2015. “Zhenyuanlong suni: Biggest Ever Winged Dinosaur Is Found in China.” The Guardian > science. Retrieved July 18, 2015. Sample, Ian. 17 July 2015. “Zhenyuanlong suni, Huge Winged Dinosaur Is Found in China.” derwombat.net. Retrieved July 18, 2015. Sci-News.com. 16 July 2015. 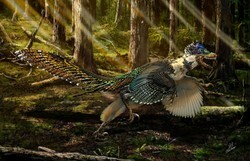 “Zhenyuanlong suni: New Feather-winged Dinosaur Species Discovered.” sci-news.com > paleontology/science. Retrieved July 18, 2015. Switek, Brian. 16 July 2015. “Paleo Profile: Zhenyuanlong suni.” National Geographic > Phenomena: Laelaps. Retrieved July 18, 2015. Tiwari, Aditi Simlai. 17 July 2015. “Zhenyuanlong Suni: Largest Winged Fossil Ever Found.” hngn.com. Retrieved July 18, 2015. Williams, Martin. 17 July 2015. “Zhenyuanlong suni: Biggest Feathered Dinosaur, Zhenyuanlong suni, Discovered. cubiclane.com > technology & science. Retrieved July 18, 2015. American paleontologist Stephen Louis (Steve) Brusatte, author of popular and scientific publications, is co-describer of Zhenyuanlong suni. Discovered in Zhenyuanlong suni's home province of Liaoning in northeastern China, Microraptors were small, 4-winged dinosaurs. blackspanielgallery, Yes, it certainly is impressive how many variations exist on the dinosaur theme in the ancient world! 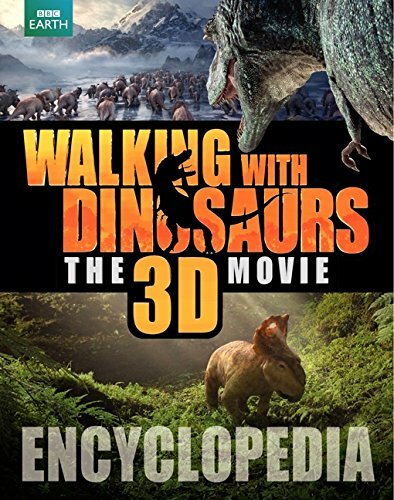 So it's reassuring to think that more and more prehistoric mysteries have hopes of being understood since there never seems to be a shortage of interest or involvement in dinosaur films, research, and writing 65,000,000 years later. It is amazing how many different dinosaurs there were.